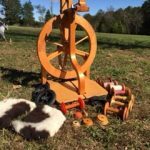 Only Guild Members may list items to Buy/Sell/Swap! To list an item, please submit this form. NOTE: All classified ads will expire after 90 days, unless renewed. Please email us at web@cvfg.org if your item is sold, or you have found an ISO. Local Only (Rockfish, VA 22971). Willing to drive up to 2 hours. Contact Bonnie Kidd at zoto2@aol.com. 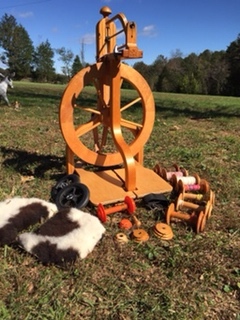 Included: 7 bobbins, 3 Whorls: Hi Speed, Fast & Medium, Threading Hook (now a designer hook due to puppy teeth, lol), Carrying strap, Travel wheels, Jacob treadle covers, 1 3-D printed hi speed whorl and bobbin. Serial# 112388 10 (made date: 11/23/1988). This wheel was manufactured as a ST but converted by Schacht to a DT within the last 10 years. FS Table Loom: Table Loom with a stand, no identifying names on the loom or stand. $200. Contact Susan Allen at srallen@erols.com.